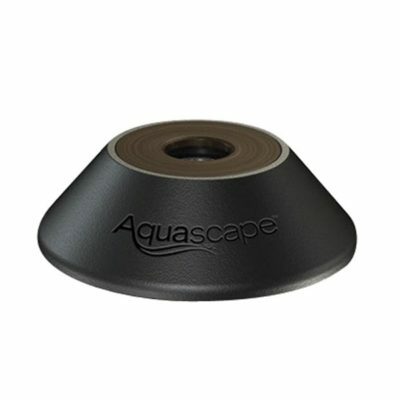 Imagine a pond where you have more control over your pond lighting. Forget about color-changing lights that only come in sets of 3 and with a few pre-set color patterns. Embrace the versatility of customizable systems of color-changing LED lights from ProEco Products. 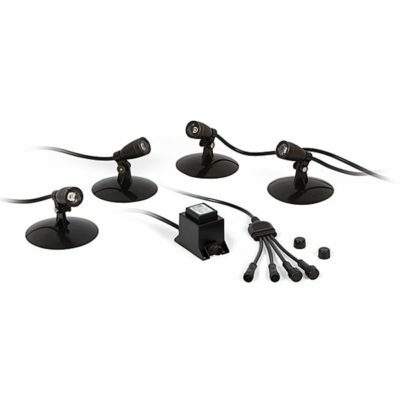 With the full line of ProEco Products Commercial LED Lighting Accessories it’s easy to assemble a pond lighting package exactly suited to your needs. 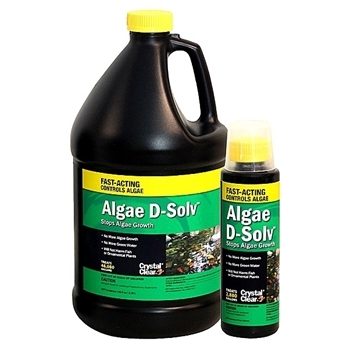 Choose the lights, power supply, controller and accessories that you need to give your pond spectacular lighting. 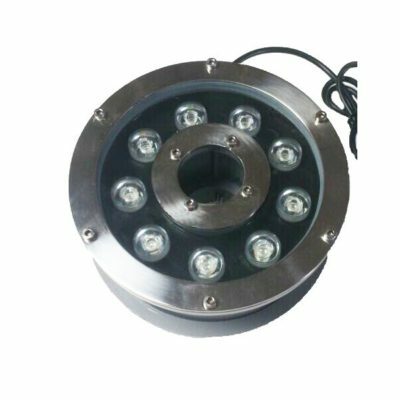 With waterproof stainless steel housing and tempered glass, ProEco Products LED Pond and Fountain Lights are intended for underwater use. 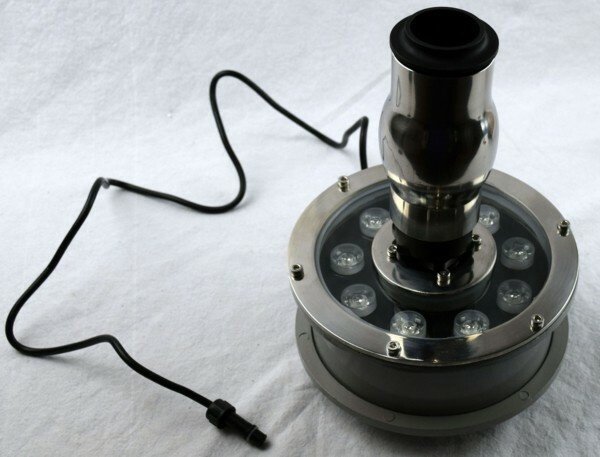 With 50,000 hour LEDs you can expect them to last for years before needing replacement. 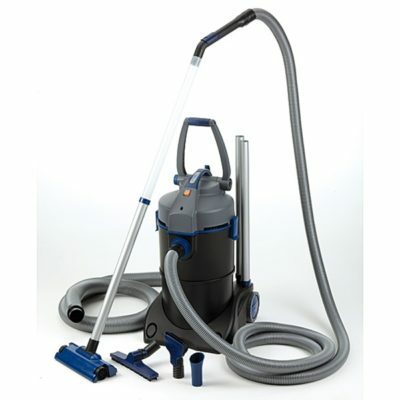 They can be used with various controllers with pre-programmed options. They can also be used with software controllers for full customization. ProEco Products Power Supplies are available from 30 Watts all the way to 250 Watts with input voltage ratings from 12 V to 24 V. The power supply you select has to be able to handle the total wattage of your lighting system. The wattage of the power supply must be equal or greater to the combined wattage of all lights plugged into the power supply. These power supplies convert 120 V power from your electrical outlet to 12 V DC power usable by the ProEco Products LED lights. 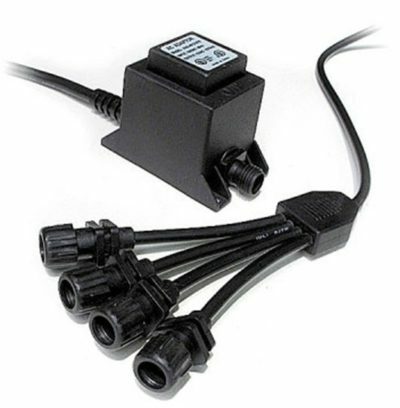 Each transformer is IP-67 rated, making it dustproof and waterproof in depths less than 3 feet. 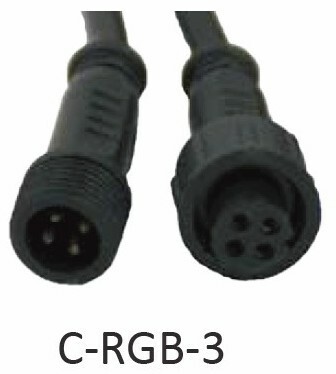 LC (22AWG only): This economical RGB controller comes with 3 basic pre-programmed patterns. With just one output channel, it can only handle a total of 72 Watts of lighting. Up to 20 ft. remote range. 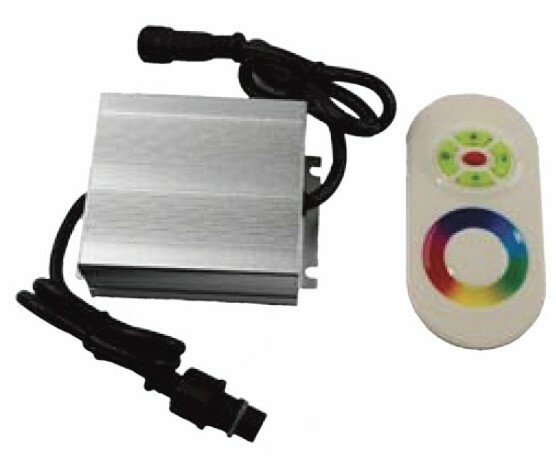 LC-B (22AWG or 18AWG): This outdoor-rated LED controller has 16 pre-programmed light patterns. 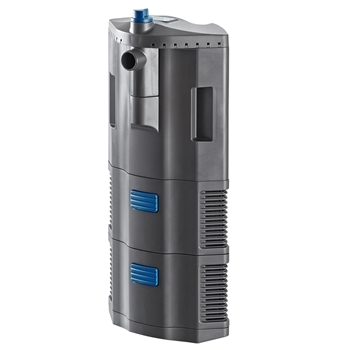 With its 3 output channels, it can power up to a total of 216 Watts of lighting. Up to 60 ft. remote range. 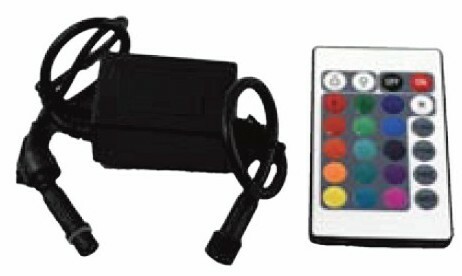 LC-RGB-4 (18AWG only): This powerful controller offers 33 pre-programmed patterns and can adjust dimming levels and pattern speed. Optional remote control. DMX-512 compatible. Extension cables feature an IP68 rated housing, meaning that they are completely dustproof and waterproof. For use between lights and splitters use 22AWG extension cables. For use between splitters and controllers, use the same gauge as the power supply and controller. ProEco Products Lighting Extension Cables are available in lengths from 3 meters (9.8 ft.) all the way to 30 meters (98.4 ft.). 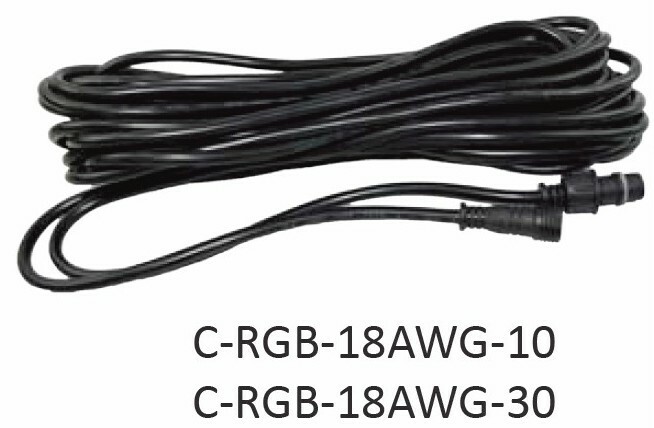 Choose from 22AWG and 18AWG versions. If you plan to use a 22AWG power supply, controller and extension cables you must not exceed seven lengths or 30 meters (98.4 ft.) of extension cable, including those between splitter and lights. If you exceed these amounts, you must use 18AWG cable between the controller and splitter. This will also require using an 18AWG power supply and controller for your system. 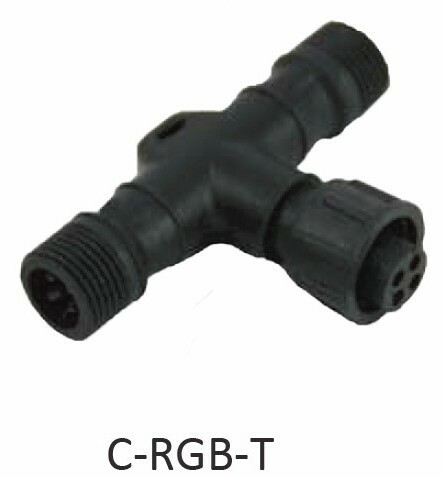 Optional Adapter: If 18AWG cable is used between the controller and splitter, an 18AWG-22AWG adapter will be needed to connect to the splitter. You can run numerous lights off of one power supply. That’s where the splitter or junction box come in. Choose from a 2-Way Splitter (Tee) and a custom-made junction box. For applications with 3 lights you can use (2) C-RGB-T 2-Way Splitters. For applications using 4, 5 or 6 lights select the junction box (not pictured) which will be custom-made to your project requirements. Both boast an IP68 Rating for dustproof and waterproof construction. 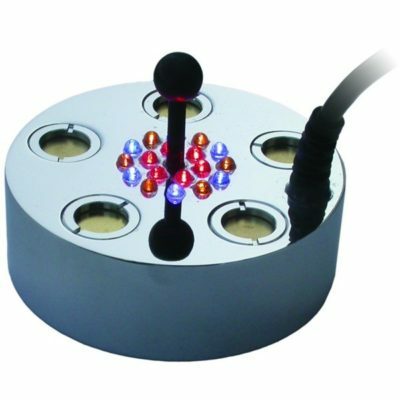 Share the post "ProEco Products 12 Watt Commercial LED Fountain Light Ring – Color-Changing – FREE SHIPPING"